Goat can read? It seems it can. Anyway, just like laws, you have to obey it no matter you are aware of it or not. 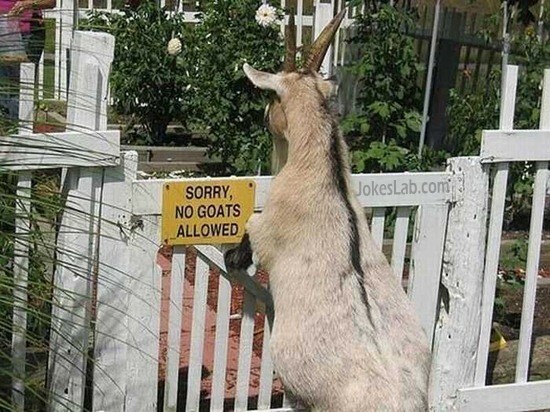 This entry was posted in Funny Pictures and tagged animal, funny, goat, picture, sign. Bookmark the permalink.